We have discovered the most affordable and simple to install intercom/car to car communication system yet. 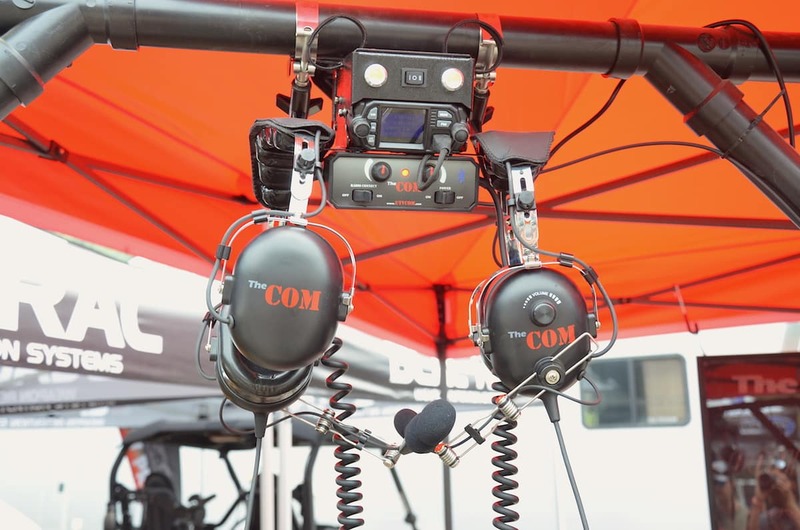 The Com, is a compact pairing of an intercom and VHF radio that clamps quickly (without tools) anywhere on your UTV’s roll bar. The builder of “The Com” claims its 25 watt radio will reach up to 10 miles. The unit comes pre programed with every used and available race frequency as well as FRS channels so you can talk to basic walkie talkies or listen to chatter from top race teams. Separately, the components include a intercom system for two or four seats, the 25 Watt VHF radio, FM Radio, a control switch box that also has two cabin lights and a rear facing cargo light, push to talk button, an antenna, audio in and out ports and two helmet hooks. After clamping the unit to your roll bar, all you have to do is run a pair of wires to your 12-Volt supply or better yet straight to the battery. The entire package including two helmet wiring kits sells for $749 ($849 w/headsets) only at www.utvcom.com or by calling (208) 779-2891. In dash kits are also available for RZR’s only.